The town, Alton, came into being in 1907 when Jonathan Heaton and other residents of nearby Upper Kanab elected to establish a community at this site. They surveyed and laid out nine ten-acre blocks, dividing each into four lots with a center block being reserved as a town square. The new community built a recreation hall in 1911 and a culinary water system in 1917. In 1935 Alton citizens petitioned to incorporate. Alton has persisted while the original community, Upper Kanab, has become a ghost town. In the 1930s Alton had a population of about 350. Alton has a current (2003) population of 93 people. The town is still a ranching and agricultural community with no commercial or industrial development. 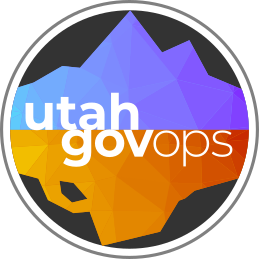 Utah municipal governments perform numerous functions, including the maintaining of law and order, guarding public health and sanitation, managing public services and promoting community development. Since Alton's population has been so small, these functions have been limited. The town council has paved some streets as funds have been available. In 1937 the Alton council signed a franchise with GarKane Power Company to provide electricity for residents, and in 1953 they signed a franchise for telephone service. In 1971 the community installed equipment necessary to receive television reception which had previously been unavailable because of the remoteness of the area. In 1979 and 1980 Alton established a water department and installed a new water system which has the capacity to support a population of 300. Alton shares a fire truck with the U.S. Forest Service. The community provides no sewer or solid waste disposal service. A town council president (mayor) and four trustees provide leadership for Alton. As chief executive officer, the mayor presides at town council meetings and supervises all other city officers. He signs ordinances and contracts. The town council functions as a governing body, and is responsible for all aspects of community management such as appointing officials and setting their salaries, levying taxes, maintaining public services and utilities, and regulating activity within the community. The mayor and board of trustees are elected by municipal election for two-year terms. The Alton town council appoints a number of town officers and defines their responsibilities. Originally, the council appointed a clerk and treasurer, a town marshal, a justice of the peace, and a board of health. The council gave the treasurer/clerk responsibility for the corporate seal, all records, books, papers, and money belonging to the council, as well as responsibility to issue dog tags and peddler's or merchant's licenses. The council charged the marshal with responsibility to enforce the law as well as all town ordinances. Later, Alton contracted for the Kane County sheriff to provide police protection. In October 2000 the town board created a planning commission. Alton (Utah). Ordinances, Utah State Archives, (Series 24185). Alton (Utah). General plan, Utah State Archives, (Series 24274). Alton (Utah). Council minutes, Utah State Archives, (Series 24273). Bradley, Martha Sonntag, A History of Kane County. Utah State Historical Society; Kane County Commission (Salt Lake City: 1999).